In this article we discuss our favorite method to germinate seeds. Take two sheets of kitchen paper and put these between 2 plates, of which the top plate is upside down, so that no light can enter - light is to be avoided at all times during this stage. Use a plant sprayer to spray water on the sheets of paper to maintain them moist at all times. Check this two times a day, in the morning and at night. At this time you can also check if the seeds have germinated yet. Put the plates away in a dark and warm place, where there is a room temperature of between 20 and 25 degrees. 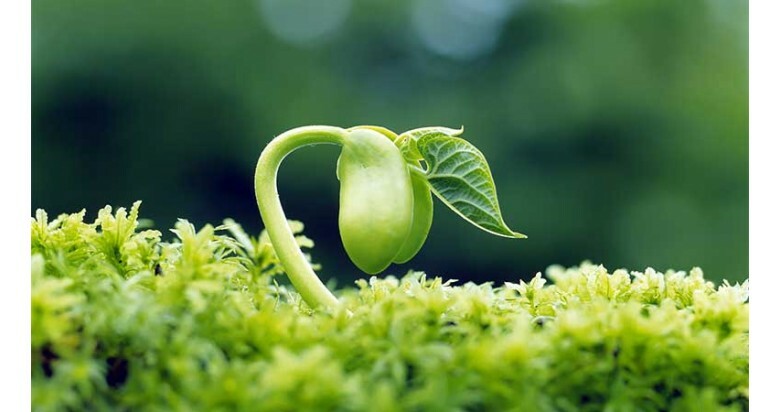 Normally the seeds will germinate within 2 or 3 days. The outer shell will break open and a white root will appear - your seed has germinated. While germinating seeds you shouldn't wait too long planing the seedling in your substrate, jiffy tablet or rockwool plug. The longer you wait, the more danger the root will get damaged which will result in an unhealthy plant. If the root is damaged, in the worst case it will stop growing. Make a hole in the substrate and place the germinated seed inside, with the root facing down. Make sure the shell of the seed is not more than 2 to 3mm below ground. Cover the germinated seed and shell loosely with some substrate - this way you will prevent light from burning the root. Make the substrate moist by spraying it with luke warm water. If you wish, you can add some root stimulator fertilizer. Again, check these seedlings twice a day for progress. If you can, make sure the seedling is in a closed environment with a humidity of about 80%. The best way to do this is to use a propagator, which we sell on this website. You can use your favorite substrate with a bit of perlite. Once the seedling has grown multiple roots, you can proceed to put it in it's pot or which ever other medium of cultivation you use, and start the process of growing it into a mature plant.